Horse breeding can sometimes be tedious and hard. Starting a breeding farm isn’t that easy. Just like the risks involved when an entrepreneur is starting a business, horse breeding is of no difference. 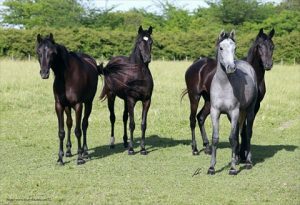 Some basic principles will assess your suitability to start a horse breeding farm. Let’s get down to the facts. Horse breeding requires a personal input. You should, therefore, be passionate about it before starting. Financial, physical and even emotional challenges are involved. Horses need to be handled with care. When handling them, experience is required. Learn how to ride them. For instance, a rider will not consider buying horses from a farmer who doesn’t know how to ride them. As expected a horse needs a lot of space to run on (in fact 1000 square feet per horse). Horses that don’t get along should be separated. Sharp rocks and objects alongside with toxic plants should be removed in the area to avoid injuring the horses. Good shelter is essential for protecting the horses from the sun, cold winters and cold winds. Wooden tall fencing is recommended to prevent the horses from running away. Horses need a lot of food to maintain their body. If underweight, more food should be given and vice versa. Horses need regular checkups and vet visits regularly. Approved horse beddings are supposed to be used since some can be toxic to the horse. With this, you are now ready to get down to horse breeding. Once the correct time has it, breed your mares with a stallion.